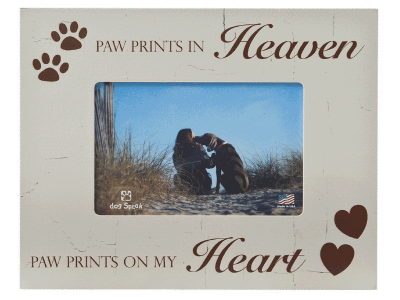 Home :: Gifts for Humans :: Picture Frames :: Sympathy: Picture Frame "Until we meet again...Forever in my heart you will be"
"Until we meet again...Forever in my heart you will be"
The wooden picture frame has an exterior dimension of 9 5/8" x 7 5/8" and 1/2" thick and holds a 4" x 6" picture. 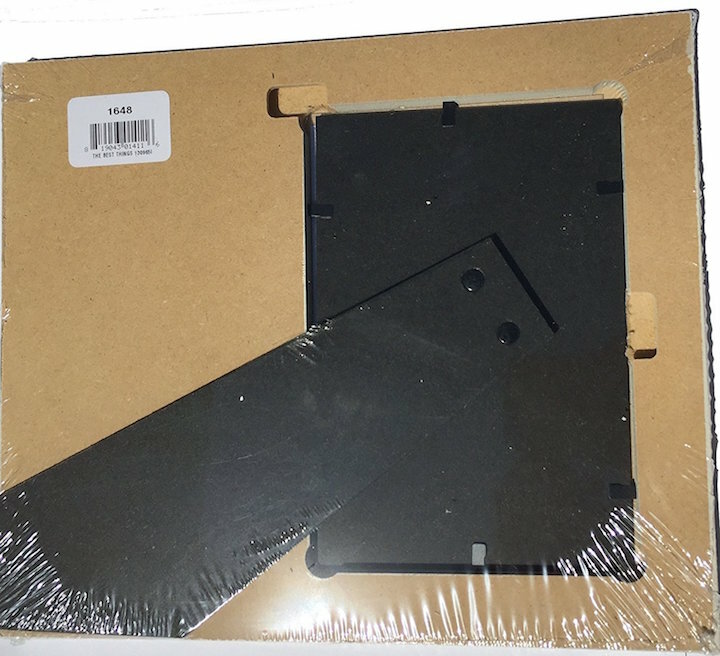 The picture can hang and has an integrated leg stand so the frame will stand at an angle. 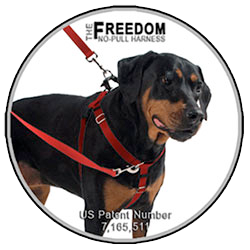 The frame has an artistically drawn background that looks like a light grey crackle. 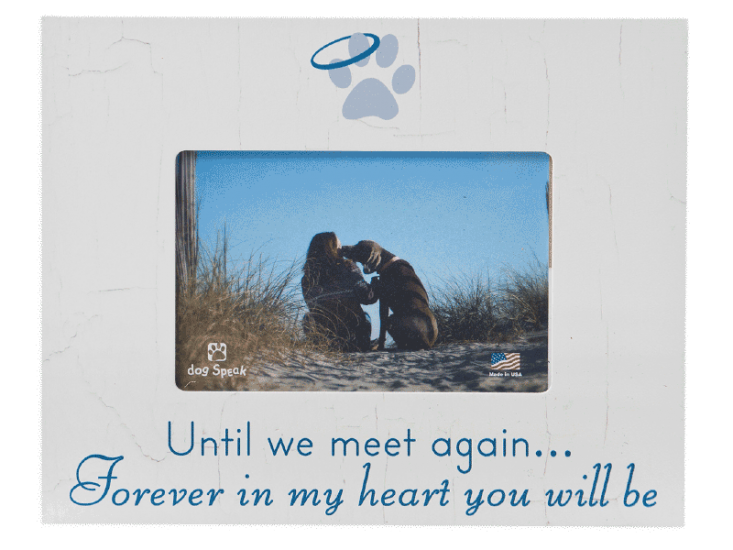 with the word "Until we meet again...Forever in my heart you will be" on the bottom. 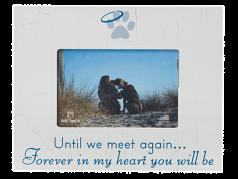 The "Until we meet again...Forever in my heart you will be" is a dark blue.